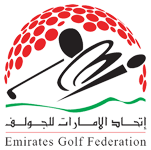 TO LOG IN YOU NEED TO USE your EGF Golfers Card 5 digit number ON THE CARD as your username and the default password provided in your correspondence from your club. ONCE YOU HAVE LOGGED IN - PLEASE CHANGE YOUR DEFAULT PASSWORD BY CLICKING ON "UPDATE PROFILE" enter your new password in the 'Password' field and and click UPDATE DETAILS. It is also advisable to check and update your email address too. Once your password has been changed and your profile updated click on VIEW HANDICAP to VIEW GAMES and/or COMPLETE your OUTSTANDING /OPEN games via the internet. PLEASE NOTE - Only games that have been registered and opened at the club can be completed and closed online. On the internet you are also able to view other players’ handicaps and game history, print your own handicap certificate, update your profile, send and receive messages from your club and monitor your projected and live handicap. You can ask your Golf Club Director for more information.